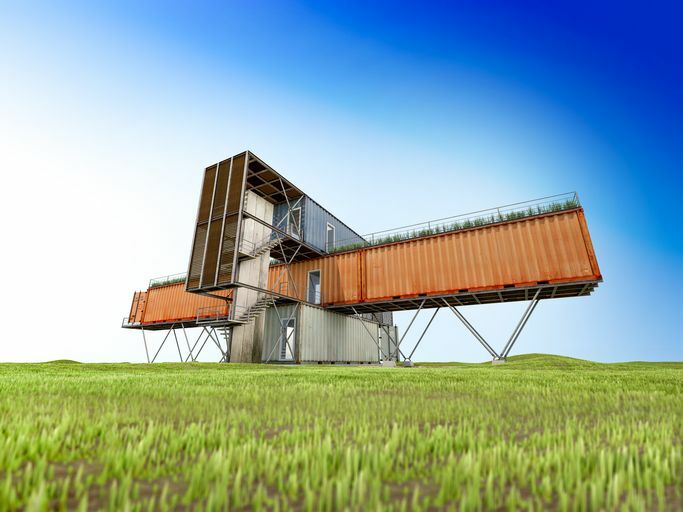 Shipping container homes are an affordable, customizable trend that is sweeping the globe. While many people use shipping containers as their main residence an increasing number are interested in building these homes in remote locations as second homes leaving contractors with an interesting problem: how to get shipping containers to remote locations not easily accessible by large trucks? A Canadian designer, Charles Bombardier, may have the answer, drones. Of course, these drones would be considerably larger than the drones currently used for shipping materials. The prospective delivery drone is called Shango is designed to shipping containers full of goods to remote locations around the world, using less fuel and resources than traditional shipping methods. Creators imagine it will become a staple in green living. Contractors are imagining this drone as an all-in-one supply and home shipping method. Shipping containers can be filled with building supplies and brought to remote locations without damaging the wilderness with temporary construction roads. NEED CONTINUING EDUCATION TO RENEW YOUR BUILDER OR CONTRACTOR LICENSE? This entry was posted in Construction, Drones and tagged Drones For Shipping, Shipping Container Homes.